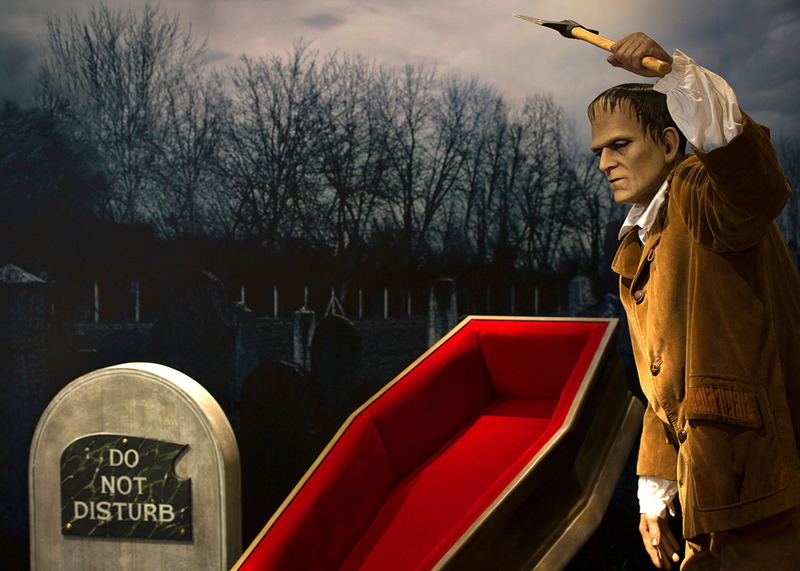 A cheat-sheet guide to Frankenstein’s role in scientific innovation. And the novel’s legacy for scientific innovation. Frankenstein’s monster wax sculpture is pictured during a rehearsal of the show at the Grevin Museum in Paris on Oct. 17. Jennifer Doudna: A professor of chemistry and biology at the University of California, Berkeley, Doudna helped develop the CRISPR gene-editing technique. CRISPR editing: A genetic engineering technique that effectively involves copying and pasting DNA. Existential threat: A force that threatens to eradicate human life. Franken-: A prefix frequently applied to modified organisms. Galvanism: A largely 18th- and 19th-century technique involving the electrical stimulation of muscular tissue, which can lend the appearance of life to otherwise inanimate matter. Synthetic biology: An emerging interdisciplinary field involving the application of an array of engineering techniques to living matter. Fear of science: Reactionary critics of developing technologies such as genetic engineering sometimes deploy Frankenstein in the service of their bromides. The novel itself, though, arguably takes a more measured approach to scientific progress. Has Shelley’s work been tainted by these appropriations of it? Demands of stewardship: Victor Frankenstein might have avoided much of the harm that befell him if only he had cared more for his creation. How can we best parent our innovations and technologies so that they do as much good—and as little harm—as possible? Playing God: Some read Frankenstein as a story of simple hubris, proposing that the eponymous doctor should have never attempted to create life in the first place. What ethical guidelines should govern the kinds of experiments we attempt? And how should we respond when others transgress those limits? Unintended consequences: When Victor Frankenstein designs his monster, he imagines he will be the father of a race that will serve him. Instead, he ends up in a life-and-death struggle with his creation. Can we ever anticipate the effects of our innovations? Will we too be undone by our creations? Lives of the Monster Dogs, by Kirsten Bakis: A group of human-canine hybrids find their way to New York in the 21st century in this haunting novel. Frankenstein (film), directed by James Whale: This 1931 film helped shape the popular image of Frankenstein and his story. Frankenstein (stage play), adapted by Nick Dear: The 2011 adaptation of Shelley’s novel, directed for the Royal National Theater by Danny Boyle, features actors switching between the role of Frankenstein and his creation. Patchwork Girl, by Shelley Jackson: This nonlinear work of hypertext fiction weaves Shelley’s novel together with elements of L. Frank Baum’s Oz stories and other components. “Viva los Muertos!”, The Venture Brothers, directed by Jackson Publick: In this episode of the animated comedy, Dr. Venture reanimates a slain henchman of the supervillain Monarch and renames him Venturestein. Hilarity ensues. Horrible truths are revealed. Weird Science, directed by John Hughes: In this 1980s comedy, two nerds bring a virtual woman into the real world. “The Monster’s Human Nature,” Stephen Jay Gould: Taking the side of Shelley’s protagonist—at least in part—this essay argues that Frankenstein’s failures were monstrous because he was human. “The Science That Fed Frankenstein,” Nature, Richard Holmes: This short article discusses some of the contemporary advancements burbling through Shelley’s mind as she wrote. “The Year Without a Summer,” Imaginary Worlds: This podcast episode proposes that Frankenstein emerged, in part, out of an extreme climatological abnormality, a volcanic eruption that changed weather patterns around the world. Romantic Outlaws, Charlotte Gordon: Taking a longer view, this biography examines Mary Shelley beside her pioneering feminist mother, Mary Wollstonecraft. “Harvard’s ‘Frankenstein,’ ” Gizmodo, Sarah Zhang: Focusing on an example from the 1970s, this article turns an eye to the enduring legacy of Frankenstein in scientific panics.